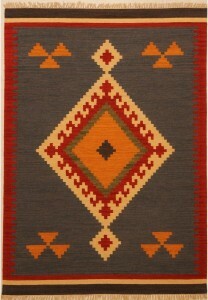 A kilim is a type of flat, woven rug that is characterized by exuberant colors, bold motifs and vivid designs. 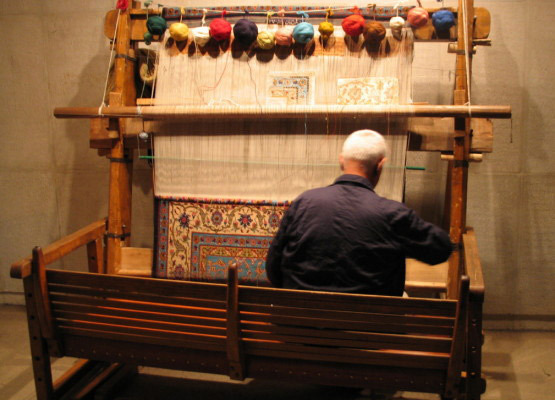 Kilims are woven primarily in Turkey and a few other countries including Iran and Afghanistan and India. 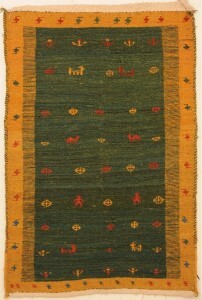 A kilim is known by different names in different parts of the world. 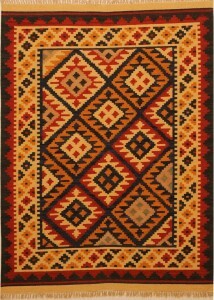 In Turkey and Poland it is known as a kilim, the Croats and Serbs call it a ćilim and the Kurds call it ‘berr’. Kilims are made by interweaving the weft and warp strands of yarn very tightly to produce a flat rug. The absence of any pile is a hallmark feature of kilim rugs. The kind of weaves used are technically a type of tapestry weave in which the horizontal strands are pulled downward tightly so that they completely cover the vertical warp strands and hide them. 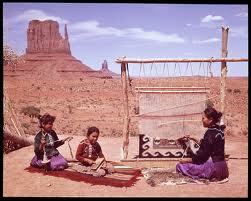 To start with weaving a kilim, warp threads of cotton, linen or wool are stretched tightly across on a vertical loom. 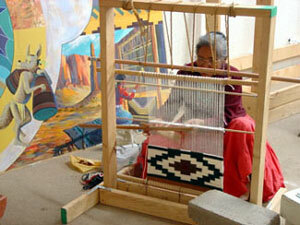 The weaver then weaves weft threads in bright colors across the warp to create the desired pattern. 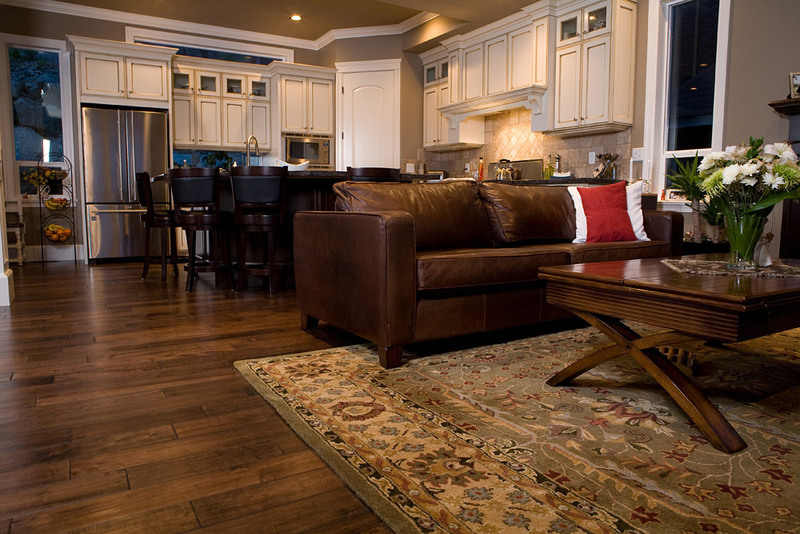 The rug is woven so tightly that no sign of the plain warp threads are visible. When the rug is finished, the warp threads are tied off to create a fringe. 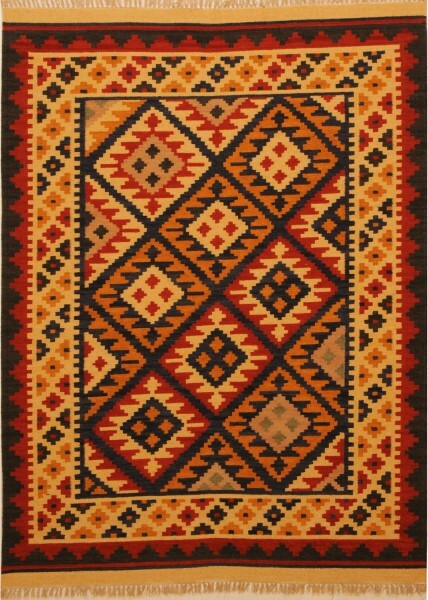 Kilim rugs are typically woven with floral or geometric themes. 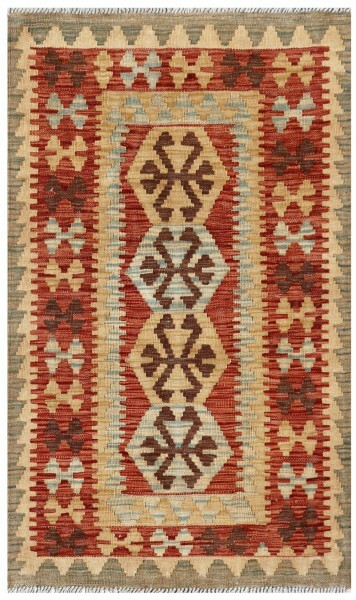 Many kilims will have some kind of tribal insignia that act as a reference to the area in which they are woven. 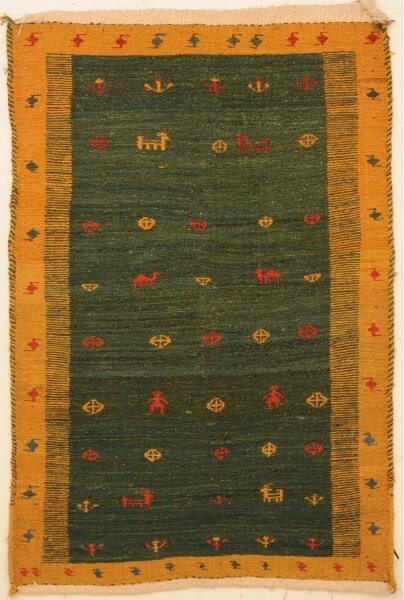 Because kilim has a flat weave and no pile, they are usually very thin and depending on the fibers used for the weft, they can be quite coarse or soft. Cotton, wool, and silk are all fairly common choices of fiber. In addition to being used as floor coverings, kilims are also used as saddle pads, prayer rugs and as wall hangings to help insulate homes. 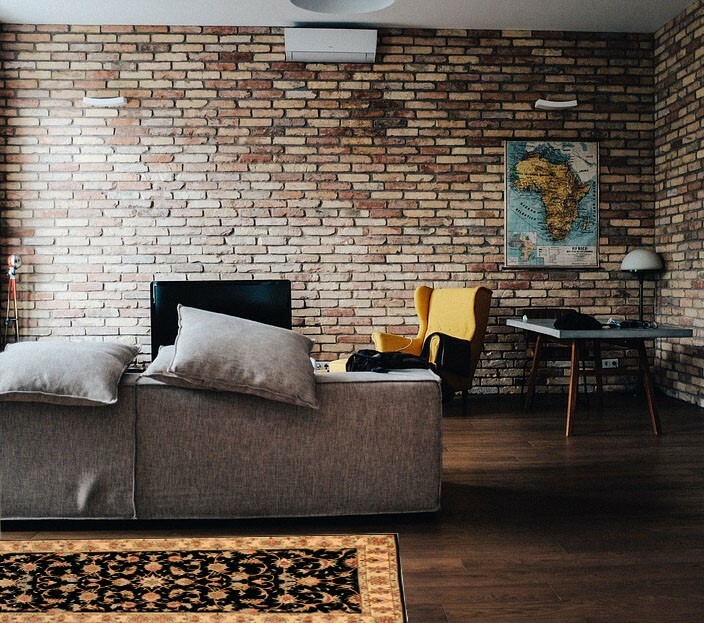 The difference between a kilim rug and other types of rugs is that the design that is created on the kilim is made by interweaving the different colored wefts and warps, creating what is known as a flatweave. 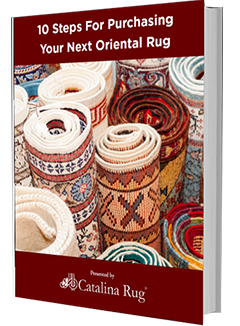 Other rugs, on the other hand, have a pile and cannot be considered as flatweave. They are created by knotting individual short strands of different color onto the warps and held together by pressing the wefts tightly against each other. The entire design takes shape by arranging these individually knotted strands which form the pile. While the pattern is very blurry with vague outlines at first, it becomes clearly noticeable after the extra lengths of the knotted material are trimmed down to create an even surface. Because of the manner in which they are woven, their less dense lushness and their simple but bold geometric designs, Kilims tend to have a more graphic look and an informal feel. 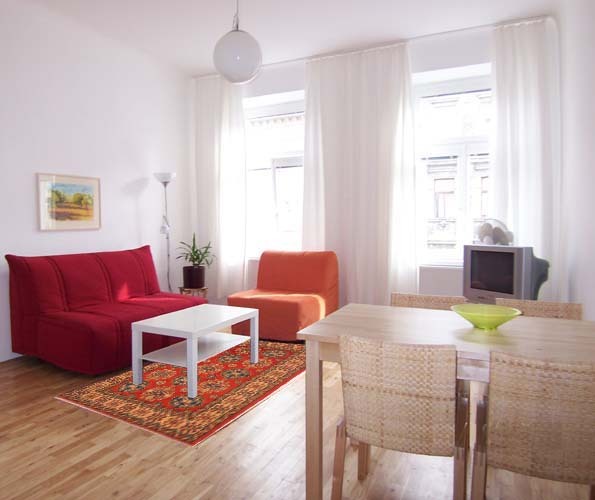 One distinctive feature of kilims are the slits that are clearly visible in the design. When the end of a color boundary is reached and new colors are needed, Many weavers simply switch off and end right there, rather than interweaving the new color. As a result of this, the rug acquires small vertical slits along the sides of its patterns between the different color areas where they meet. In some cases, these slits may be sewn together, but more often than not, they are left as is, which is why kilims are often referred to as “slit-woven” textiles. 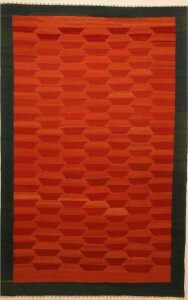 Many collectors actively seek rugs with slits. They find them more valuable as they produce very sharp-etched, defined designs that highlight the geometry of the weave. There are weaving strategies that the weaver can use to avoid the slit formation but all of these strategies result in a pattern that has nebulous, blurry design edges. 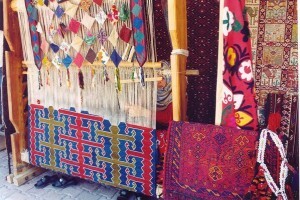 In making kilims, the weavers almost always use wool for the weft, which carries the color and design that can be seen. The hidden warp strands can be either cotton or wool. The only place the strands of the warp can be seen are at the two ends where they form the fringe. The weaver uses very basic tools to create a kilim – a loom, a shuttle ( which is optional), a beating comb and a knife or a pair of scissors to cut off the wool. Silk, cotton and animal hair are sometimes used together with wool. Some of the more elaborate kilims have silver or gold thread and other decorative beads and baubles inserted into the design while weaving. The beating comb is an interesting little device that kilim weavers use. It can be made of wood, bone or metal and looks like a larger and cruder version of the hair combs that we use. 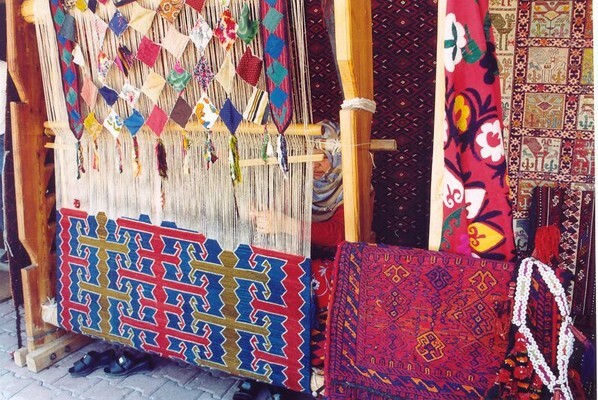 Kilim weavers use a comb to beat down or compress newer lines of wefts against the older lines, which is what produces the tight weave that is so characteristic of kilims. The shuttle is also very basic. It is just a stick with notches designed into it. The weaver places the weft end of the yarn in the notched end of the shuttle and inserts the shuttle in between alternate warps to produce a weave. Not all weavers use the shuttle. Most prefer to dispense with the shuttle and pass the weft between the warps by hand. 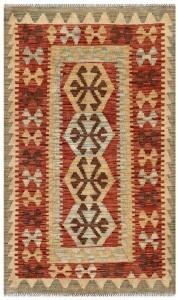 Most kilims are woven using wool for the warp as well as the weft. The popularity of wool is because it is abundantly available and also because it is durable, supple and handles easily. It also takes on dyes beautifully. Cotton is also often used for the warp because of its high strength and abundant supply and also because it keeps its shape well. Silk too is used in kilim weaving but it remains a luxurious material and is used very sparingly to produce silk flatweaves that were used to create pieces that were specially ordered by the affluent as bridal dowries.